Lawns, provided they have not been extensively treated with pesticides, can present excellent opportunities for helping bees. Depending on your circumstances, this could range from allowing a few wildflowers to thrive in a small patch, or converting a large grassed area to meadow. If you are going to convert a whole area, you'll need to take into account soil conditions, as well as light, and you'll want to ensure you have a native flower mix. Suppliers can usually offer specific advice depending on your circumstances. The information I'm presenting on this page however, is general, and includes a range of ideas. The idea of long grasses or tall flowers may not be possible or appealing, but there are still ways in which you can create a lawn for bees. Do remember, you can also include wildflowers in your flower border. Sometimes, we just need to be a bit flexible in our thinking, rather than stick to the usual ornamentals we've grown accustomed to filling our borders with. Before you start, do consider what is practical for your circumstances. If you have young children who are likely to be running around barefoot or in open-toed sandals whilst bees are foraging, they could get stung. In such cases, perhaps it is best to leave it until the children are older, or reserve a particular patch for the bees, where the children are taught to observe whilst wearing appropriate footwear. Not that bees are deliberately out to sting anyone - but accidents can happen if a bee is stepped on! Also, check for poisonous species. If you do not have children or pets, this may not concern you. Here are a few ideas to set you on your way to creating a lawn that has some features which are great for bees and other wildlife. As you'll see, creating a lawn which is beneficial for bees does not only have to be about large areas filled with tall wildflowers (although if you can manage this, then that's great! ).The fact is, not everone can manage this! Many flower bulbs provide excellent nectar and pollen sources for bees, including during winter and spring. For example, why not include crocuses in your lawn? For a natural effect, simply scatter them onto the ground and plant them where they fall. Alternatively, do the same with daffodils and bluebells beneath a tree. 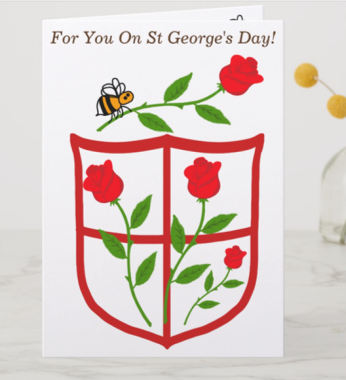 Remember to choose traditional, rather than double-petalled varieties. Snake's head fritillary can also look very pretty, whilst snowdrops are always a favourite. I recommend you buy your flower bulbs from an organic supplier. 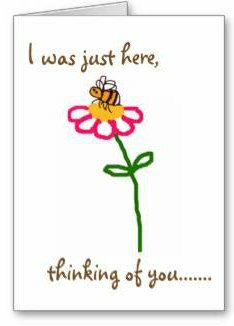 Personally, I have become increasingly concerned about the amount of neonicotinoid pesticides used in flower bulb cultivation - and indeed, in horticulture generally. I prefer to buy organic, or take them from sources I trust, such as a friend or relative. Alternatively, you could develop a relationship with a nursery near you, and ask them from where they source their plants, bulbs and seeds. Read more about flower bulbs for bees, and get further information about bulbs suitable for lawns. 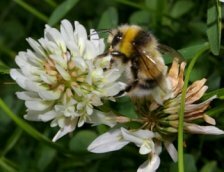 bees - especially bumblebee species - love clover! eventually when mown, the clippings can be added to your compost heap to help create an excellent natural fertilizer for other plants in your garden. You can also use the clippings as a mulch. You could opt for a selection of low-growing wildflowers that bees like such as: lesser celandines, self heal, and bird's foot trefoil, for example. However, many gardeners are against these, because of their spreading habit, and some people refer to them as a persistent weed. Personally, I think they look very pretty. Herbs can provide fragrance and colour, and for bees I recommend a thyme lawn (see right - you can buy seeds - if you are good at growing from seed, it's cost effective, otherwise, you may find it easier to purchase a few plants and start out that way). Read more about herbs for bees. Even small spaces can accommodate many wildflowers, and this could attract different types of bees and butterflies, by providing much needed pollen and nectar. 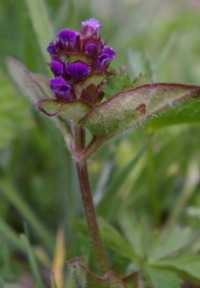 Other wonderful plants to see peeping through your lawn include self heal, bird’s foot trefoil, cowslips and vetches. Dandelions are controversial, but bees and other pollinators love them. You can always remove the heads before seeds disperse. There is another page about getting hold of free wildflower seeds. You could also purchase a few wildflowers as plants, and add them at various places to your lawn. Even better, sow seeds yourself in pots, and ensure you use no chemicals. - to have more control over the wildflowers appearing in your lawn. It's possible to purchase turf which is already established as 'wildflower turf'. I have no experience of this but the idea seems interesting. For this approach, remove the top layer of turf. Sow a wildflower seed mix in Spring or Autumn, and cover with a fine tilth. Hopefully, your seed mix will contain annuals that will soon give you glorious colour. In a year or two, the perennial flowers should show up. If you have high nutrient soil, you may struggle to establish your wildflowers. One approach to solving this issue is to use herbicides (weedkillers), however I do NOT recommend this. Instead, I recommend you try Yellow Rattle with your wildflower seeds – or sow it first. This should parasitize the grasses that would otherwise take over your wildflowers, and bees and other insects love this wildflower. In other words, Yellow Rattle is excellent for helping to create more suitable growing conditions for wildflowers preferring nutrient-poor soils. Which Other Wildflowers Could You Include In Your Lawn For Bees? For a list of wildflowers to suit a variety of growing conditions, click here. Don’t Want Wildflowers or Are You in a Drought Area? If you have very dry soil or if you would prefer a more cultivated look – or even something a little unusual, then again, why not consider fragrant Thyme? Thyme is an excellent herb for bees, and low growing varieties can be used. Check out this great link, to see lots of calendarized lists of plants for bees, including more wildflowers, garden plants, herbs, trees, shrubs, hedgerows and even fruit and vegetables. Check out these further tips with link, about how to create a bee garden. There are plants that attract bees even in problem places. Whether you have drought, clay soil or shade conditions, see these lists of plants that will help you to help our bees and other pollinating friends.